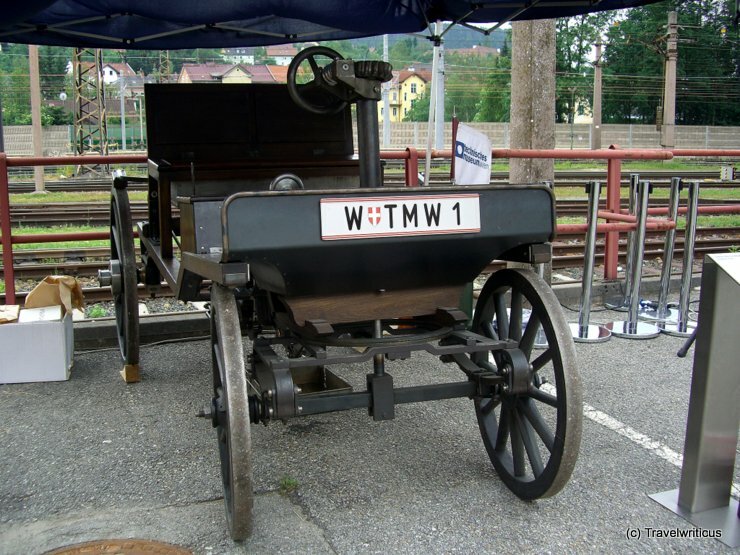 At an exhibition about the history of the fire brigades taking place at Geras Abbey (Stift Geras), I saw this Volkswagen Type 181. 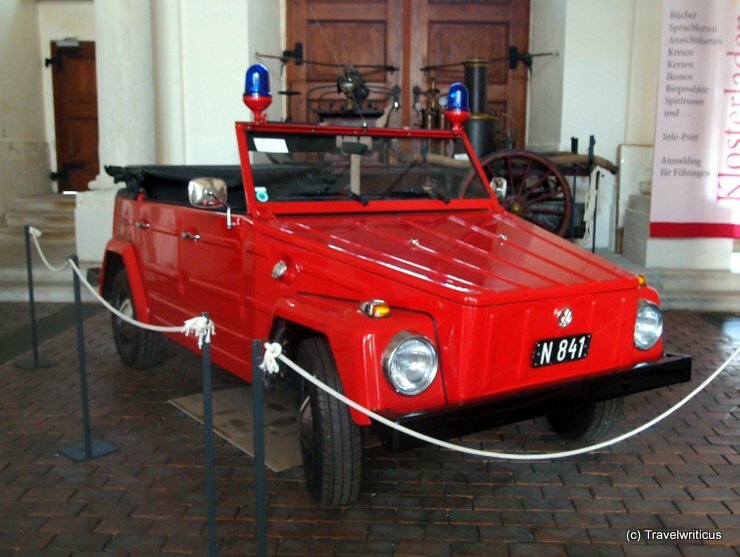 It was built in 1974 and was used as service car for the fire brigades in Lower Austria. 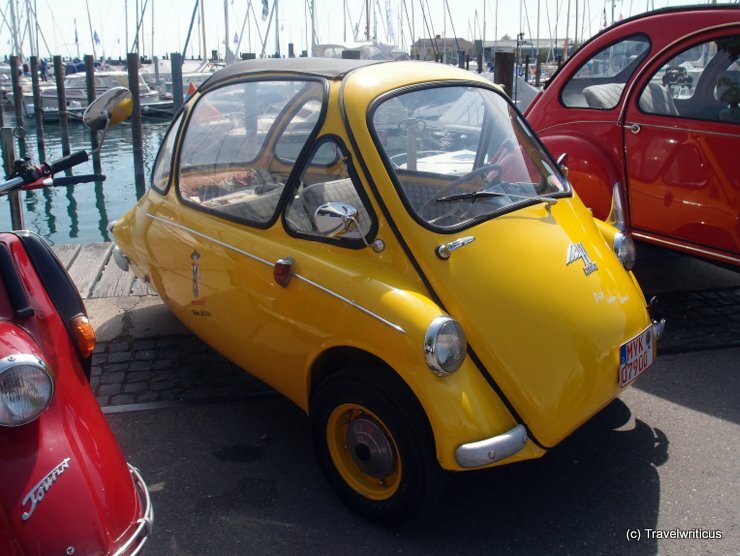 Reading the story of this car makes me smile: Was this car really called “The Thing” in the US? 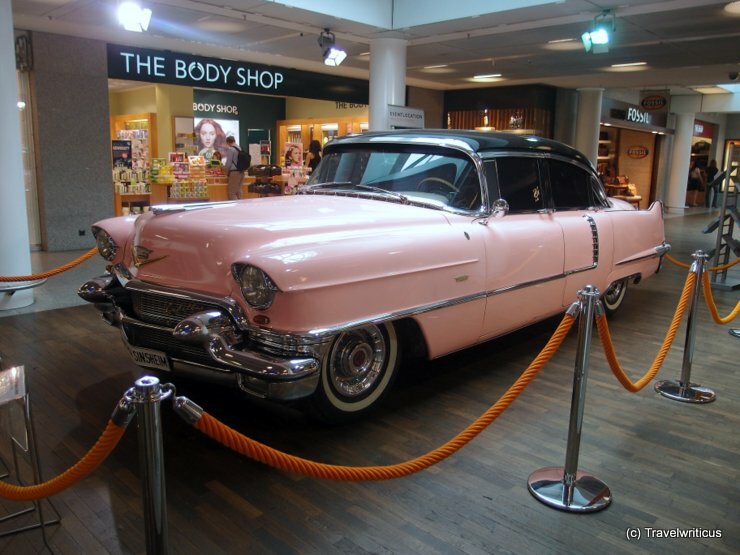 After my trekking tour with the llamas, I went to the classic car museum of Kaprun named Vötter’s Fahrzeugmuseum. It is situated in the basement of a hotel. 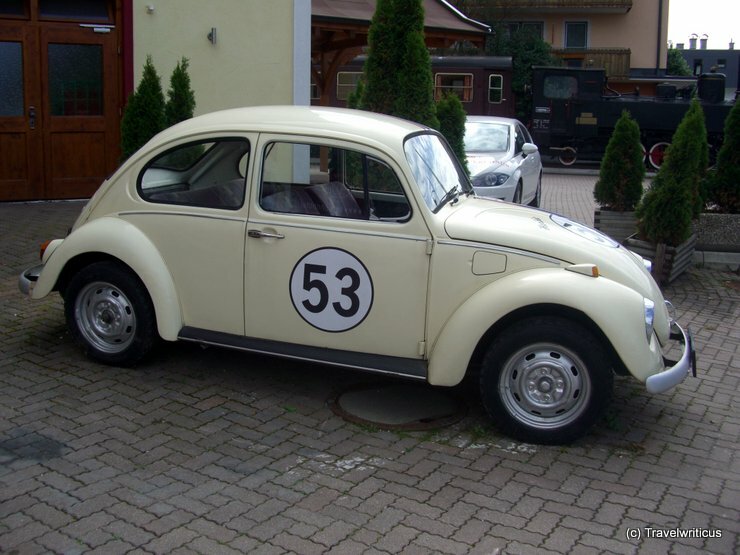 Well, I was very surprised to meet a sort of ‘Herbie’ in front of the museum. 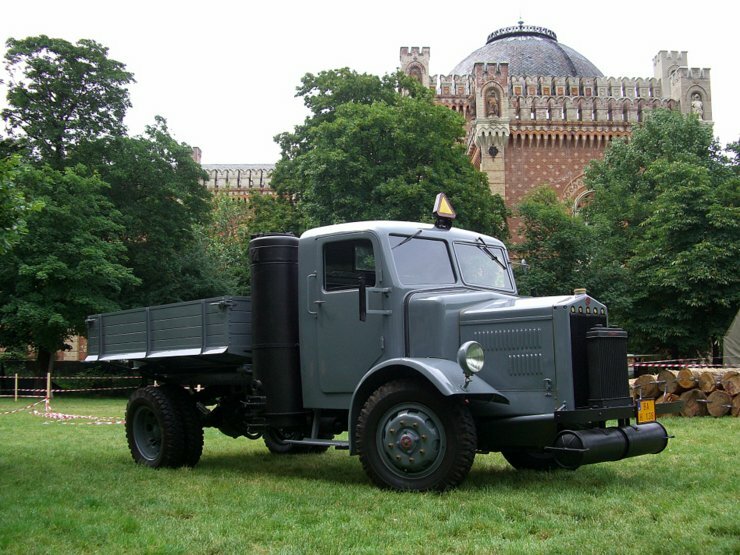 A truck powered by wood gas seen at a presentation of old military vehicles performed by the Museum of Military History (Heeresgeschichtliche Museum) in Vienna. In the background, one can see the main building of the museum. 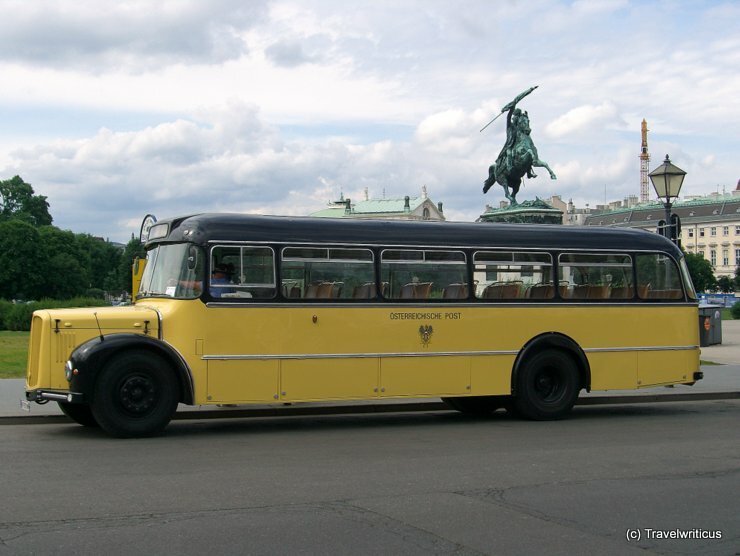 A Chevrolet Fleetmaster 1946 seen at a festival organized by the Museum of Military History (Heeresgeschichtliche Museum) in Vienna. 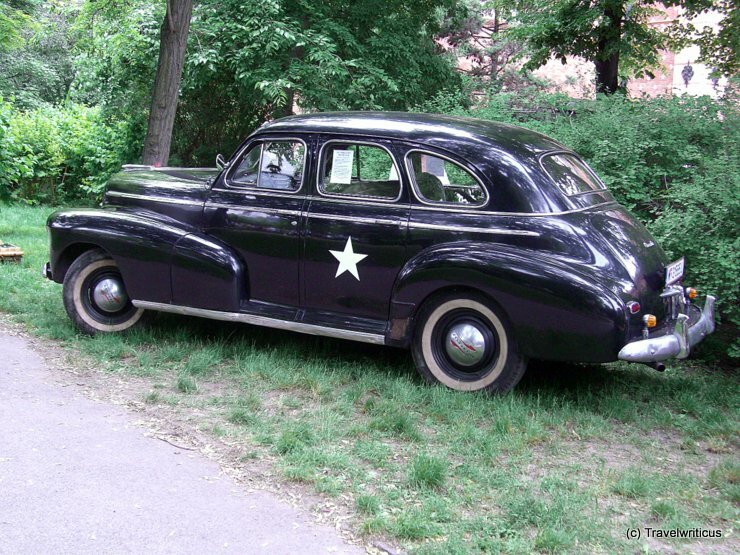 The depicted car was used by the US military government in Austria in the years 1946 – 1950. 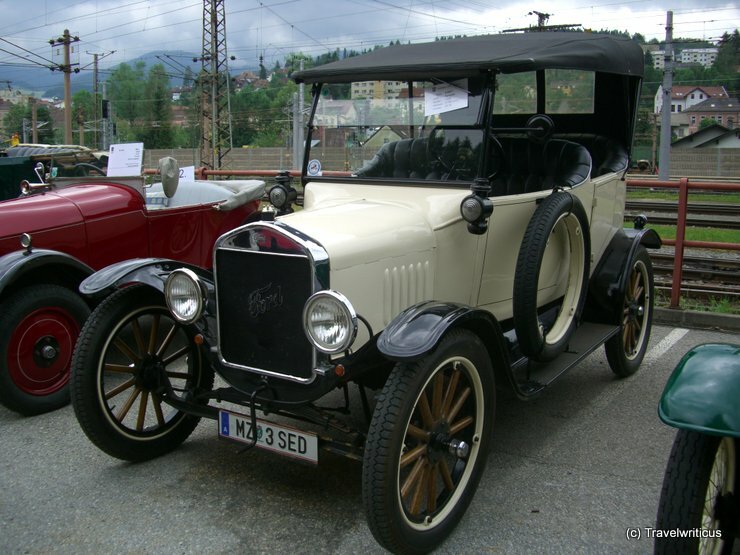 This still driving automobile was built by the Czech company Praga in 1914. It probably carried a big floodlight in the Austro-Hungarian army during World War I. 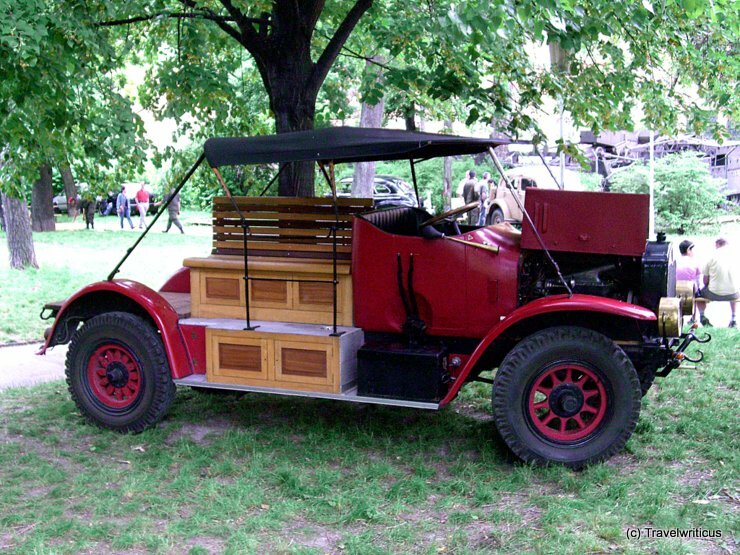 The photo was taken at an annual meeting of classic cars hosted by the Museum of Military History in Vienna.